Quit the queues and crowds of the season shopping at Amazon. Amazon.co.uk makes shopping easier than ever with the convenient “Click and Collect” feature. “Click and Collect” is a shopping option that allows you to select a specific location near you. Once that location is selected, you will receive a unique access code to your very own “Amazon locker”. This is the place to which all your items will ship once you select the option. The pick up process is a breeze: Just go to your locker’s location, use the code that will be sent to you, open your locker, and get access to your items at your earliest convenience. This means: no queues, no crowds, and no more frustration trying to find that “one” thing everybody else wants. Amazon allows you to shop from home and pick up your purchases up to three business days after your items are shipped. Checkout lines are a thing of the past! Three simple steps are all you need to follow: Shop, Pick Up, and Enjoy! Visit the website at http://www.amazon.co.uk and browse through millions of items for home, work, school, or for yourself. Take your time, and browse through thousands of different stores and vendors willing to give you the best price per item. Your Amazon shopping experience just got better and more convenient than ever. 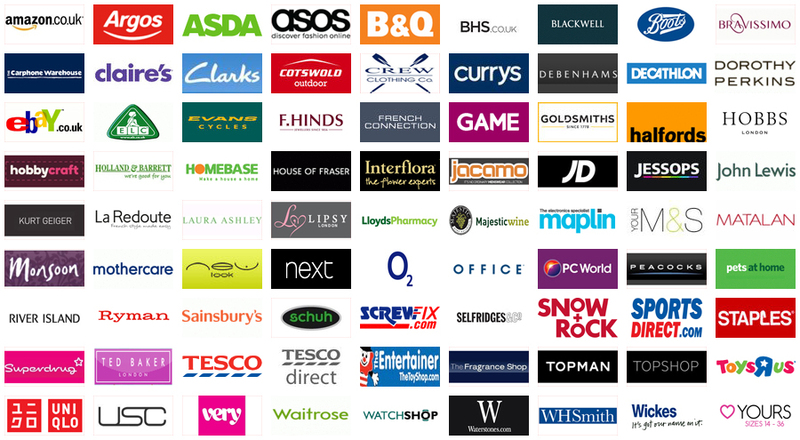 Try “Click and Collect” today and sign up for an Amazon locker near your area. Amazon actually have two slightly different alternative ways of using click and collect to pick up your purchased items; namely Locker which is mentioned above and Collect+, collect plus is an existing external delivery company found at collectplus.co.uk who have partnered up with Amazon to offer this service, Collect+ also caters for many other top UK retailers such as very.co.uk, John Lewis, ASOS and River Island and enables you to collect locally from a vast number of designated stores in the CollectPlus network. How to use Locker Click and Collect. 1. If you are already an Amazon customer, log in with your regular username and password. If you are not an Amazon customer, register using your name, e-mail, home or work address, and a method of payment. Confirm you account by clicking on the confirmation link that will be sent to you by email to the same address that you entered at the time of registration. 2. Click on “Your Account”, and select “Manage Addresses and One-Click settings.” Ensure that the address that you entered on file is correct, and that the payment method that you want to use for quick checkouts, “one-click”, is also selected. Going through this step is important because it will help prevent errors with shipping or charging for items. 3. Locate the “Amazon Locker” option on the page. Select the locker location nearest you and add it to your address book. If you have not done so, sign up for a locker. Once you do, you will receive a unique locker number and important information by e-mail that will be only available to you. You will receive a code that will give you access to your locker. Whenever your items are shipped, you will have three business days to visit the store, use the code to open your locker, and collect your items. Please keep your codes safe and do not share them. 4. After setting up and confirming your information, you proceed to log in to Amazon.co.uk. After selecting your purchases, use the option “dispatch to this address”. This is how you will route the items to your Amazon locker once they are shipped to you. You can also use the “dispatch to this address” option for returning items. For your convenience, Amazon’s “Click and Collect” option for Amazon lockers are currently available in the following U.K. cities: Aberdeen, Bath, Birmingham, Bristol, Exeter, Glasgow, Leeds, Leicester, Liverpool, London, and Southampton. If you wish to collect from within a different city then please use the Collect+ pickup locations instead as CollectPlus already caters for the whole of the UK and will definitely have a shop close to you for collecting from. Depending on the actual weight and physical dimensions of your chosen product you might have to use a collect plus store instead of Locker, for further details on the applicable restrictions please see here. Amazon.co.uk guarantees your privacy and the safe shipping of all products. You will have access to 24/7 customer service, and return options are always available to all customers when applicable.